Whether its hardwood flooring, composite wood flooring, tile, or linoleum, your floors are more than just somewhere to put your feet. Check out these articles to see how to protect, maintain, restore, repair, and appreciate this beautiful and valuable part of your home. Making your hardwood floors shine can be difficult if you don't have the right cleaners or tools. Find tips on cleaning and shining your hardwood floors, here. Because winter poses a host of new problems for your floors, spring is the perfect time for the wood scratch repair needed after seasonal neglect. Learn more. Steam cleaning hardwood floors can make old, tired looking hardwood floors look new again. Learn more about steam cleaning hardwood floors in your home here. If you find yourself caught in the convenience of a laminate floor, you should know that real wood floors have a host of advantages as well. Learn more, here. Bamboo flooring is an eco friendly flooring option with a one of a kind appearance. Keep your bamboo floors looking like new with these bamboo floor cleaning tips. Choosing a unique wood floor finish is just as important as your paint color or furnishings. Learn more on choosing a unique hardwood floor finish right for you. Maintaining hardwood stairs requires diligence over the years with attention to detail. Find out more about caring for hardwood and wood stairs, here. When choosing from the many types of wooden flooring available, you have several things to consider. Examine these factors to choose your wooden flooring. The wooden floors you see today, enhancing home decor, consist in numerous choices of species and patterns that weren't available in decades past. Learn more. Known for its knots and character marks, ash hardwood flooring is both durable and versatile. Here's what makes it different and how to keep it clean. In the winter, wood flooring needs even more TLC than usual. Follow these tips for winter wood floor care and you'll enjoy them year after year. Beautiful wood wide plank flooring is an important element of replicating a home that was built in the certain eras. Learn more about wide plank flooring, here. Choosing paint to complement walnut hardwood flooring will depend on the chosen stain and finish. Here's how to match your floor décor with your home. Using natural cleaners for wood floors has several benefits to you and the environment. Here's how to apply these items for a safe, beautiful result. Consumers need to know how to properly use cleaners to avoid health hazards and damaging surfaces. 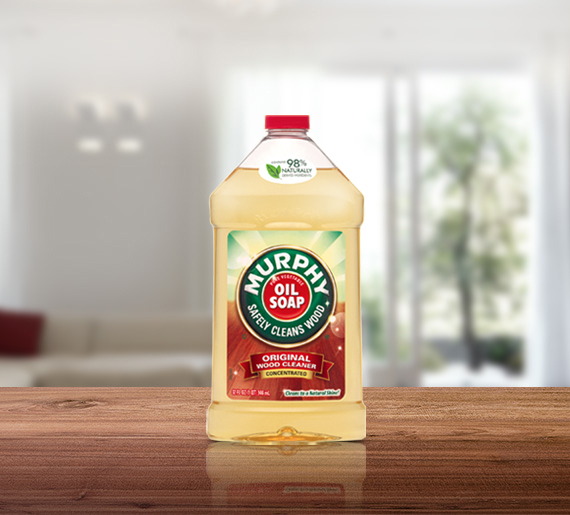 Murphy Oil Soap safety starts with its ingredients. Learn more. If you're remodeling, you might find the number of kitchen flooring options to be mind-boggling. Luckily, each material has a benefit to suit any style. Learn more. Don't panic. Learn how to remove wine stains through these approaches, and you can continue enjoying your evening without worrying about permanent damage. Removing stains from a softwoods is different from getting to the root of a stain in a harder, more solid wood. Learn more about removing softwood stains, here. Choosing the best hardwood floors for your family room can be a daunting task. Find out more about how to choose the best hardwood floors for your home, here. There's knowing how to clean hardwood floors, and then there's knowing how to do clean them the easy way. Find out more about keeping your hardwood clean, here. Maple hardwood flooring is an excellent material for its dent-resistant structure, but its closed grained pattern tends to show imperfections more easily. Learn more. By adopting the following tips for cleaning and maintenance, your oak hardwood flooring will boast its natural characteristics for years to come. Learn more, here. Minor hardwood floor scratch repair is easy for do-it-yourselfers; but bigger gouges can be difficult. Here's how to go about repairing scratches in hardwood. Ash is a go-to hardwood for homeowners due to their durability and welcoming color. Ash hardwood floor cleaning is easy, too. Here's what you need to know. Hardwood floor care isn't difficult, but keeping flooring in good condition requires a little know-how. Here's what you need to know to care for hardwood. Choosing the right floor scrubber to use on your wood floors requires more deliberation that you'd think. Certain tools are too harsh and can do damage. When blood touches hardwood flooring, homeowners need to know how to quickly and resolutely remove it. Consider these tips for blood stain removal. Warping, liquid stains, gaps and regular wear isn't just unsightly; it's tough on your wallet. Here's how caring for wood floors protects your investment. There is a secret to cleaning floor tiles effectively, and it could revolutionize how you keep your kitchen floor free of grease and grime. Learn more, here. Preventing wood floor damage doesn't stop at the mop. Find out how you can prevent wood floor damage and make your hardwood floors last for years. Give your floors a break from the moisture, limit your use of water when cleaning hardwood floors and try these waterless strategies instead. Cleaning wood floors might seem complicated, and even a little worrisome. Keep your wood floors looking their best with the right floor cleaners and techniques. Wood laminate flooring and real hardwood flooring have similar appearances when installed in your home, but there are details that can go overlooked. Learn more. Cleaning hardwood floors requires plenty of TLC. Even if you have children in the home, you can have sparkling wood floors with the following action plan. Pet-lovers understand that they may be faced with the question of how to remove pet stains. Start by blotting the spot, and then follow these tips. Renting hard-surface floor cleaners give the floors a deeper clean than most people are able to achieve. Find out how to find the best floor cleaners. Floor cleaning should be easy. These 5 mistakes might make cleaning your floor more difficult than it should be. Find out more about avoiding these mistakes, here. Here's how to choose and use a floor-cleaning mop designed for your home's floors to keep them clean and maintain their beauty for years into their life. The floor cleaning solutions you're using on your hardwood may actually be doing more damage than cleaning. The wood's finish has everything to do with it. Hardwood floor repair should be a priority for every home owner. Learn more about when you can fix hardwood floors yourself and when to call a flooring professional. When it comes to hardwood flooring, the wood floor finish that you choose can give your flooring a variety of looks and levels of durability. Find out more here. Nail polish spills can be very difficult to clean up. Here's how to remove nail polish stains without damaging the finish on your flooring. Get rid of years worth of dirt and grime on wood paneling with these tips. Whether you want to restore their beauty or prep for paint, proper cleaning is important. Browse Hardwood and Floor Care. Preserve the natural beauty of your floors with cleaning tips, advice and how-to's on restoration, reparing hardwood, and more. Hardwood requires a commitment to regular maintenance and the right floor cleaning equipment to get the job done. Here is a list of essentials. Cleaning hardwood floors isn't set in stone. Much of what works when it comes to cleaning floors involves the following techniques. Find more tips, here. The best hardwood floor cleaner must not only effectively clean your hardwood floors, but be safe to walk on and safe for your family. Learn more, here.